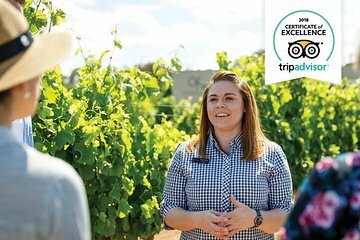 Spend a day learning about and tasting fine wines without worrying about who will drive home on this easy wine adventure in the Swan Valley. This is one of the oldest wine-producing regions in Australia and has a great reputation. You’ll visit several of the best boutique vineyards here. As this is a small-group tour you’ll get access to wineries that the bigger tour groups don’t visit. Also sample local cheese from a fromagerie.